For the last year or so, we've seen a huge rise in the popularity of coloring. What was long considered a children's activity has proven to be quite therapeutic for adults. It makes sense when you think about it. In a fast-paced world filled with technology, it lets us slow down and get off the phones for a few minutes. Coloring is hands on, requires some degree of focus but no real stress, and the end result is a pretty picture filled with your input. Sales of coloring books has seen a marked increase over the last year, and should see another spike during the holidays. But why stop at books? There are now all sorts of office supplies available with coloring patterns. These capably fulfill their office duties while also allowing you to indulge in coloring. After all, in the middle of a busy work day in front of a computer, there may be no better respite than taking some time off for a coloring break. 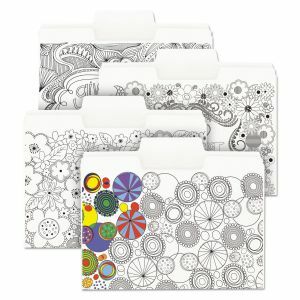 Smead has several designs of folders, At-A-Glance, House of Doolittle and Blueline have calendar desk pads, and there is a nice assortment of notebooks and binders as well. You'll also want comfortable coloring instruments. Colored pencils tend to be the favorite, and there are plenty of options from classic Crayola to finer Prismacolor pencils. Tombow Dual Brush Pens are comfortable to use with a pleasing stroke and have quickly become a favorite. Crayons, of course, are still an option, and now they're retractable with Mr. Sketch Twistable Gel Crayons. Yes, they're still scented and yes, it's okay to smell them. Everybody else does. We've got a nice page with all of our Adult Coloring products and supplies here, along with a place to sign up to download several coloring sheets for free! I really find coloring books to be relaxing and therapeutic, that's why I bought books with different patterns. Although I struggle in choosing the right color pen, will give these dual brush pens a try. 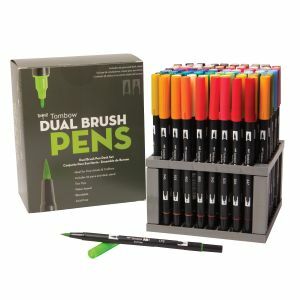 Like the pens posted in Smartcustomwriting.com review which are very colorful and cost effective. I think, he had to work really hard to gain everything he had now. I'm not that successful at all, but thanks to content of the writing services i know a lot about time management. So, now I'm working hard too yo be that good at my job.